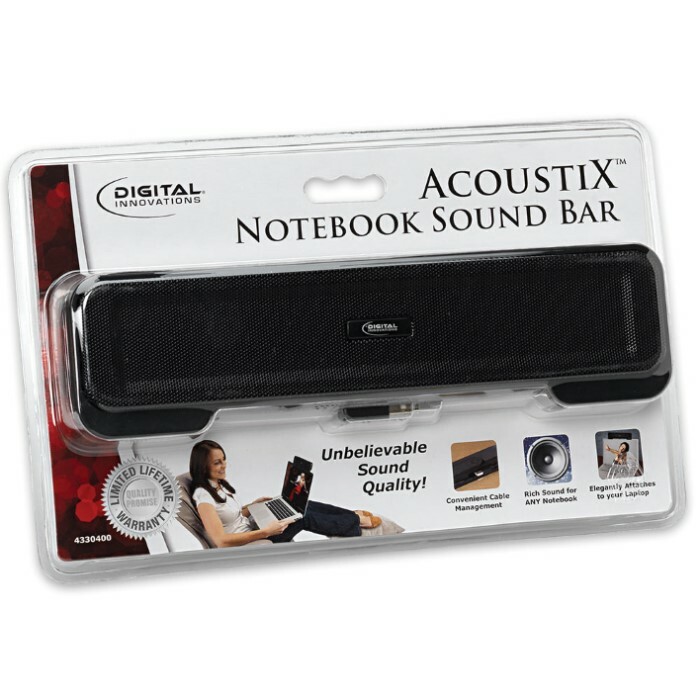 AcoustiX Notebook Sound Bar For Laptops | BUDK.com - Knives & Swords At The Lowest Prices! The AcoustiX Notebook Sound Bar is a USB-powered speaker system that attaches neatly and easily to any laptop. 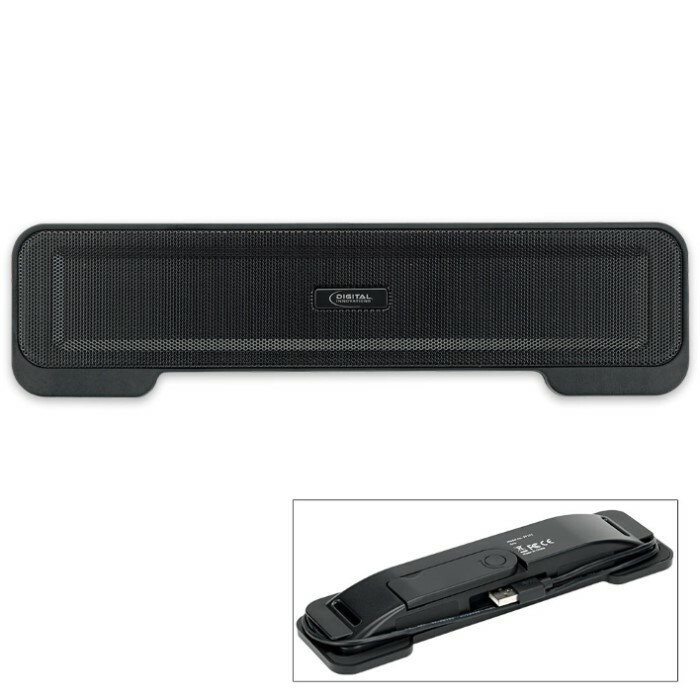 You get two watts of crystal clear audio. 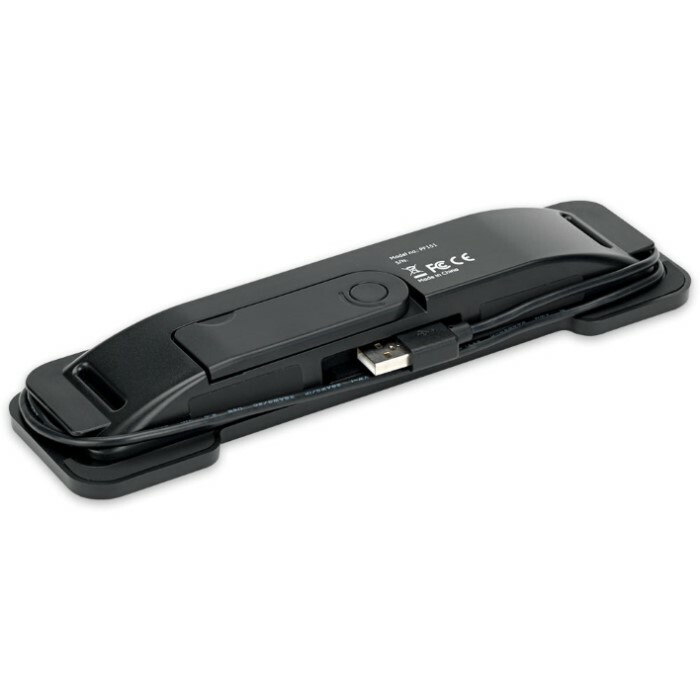 Because it draws power and audio through the USB port, it’s a snap to connect while minimizing cable clutter. Plus, the mount folds away for easy transport.